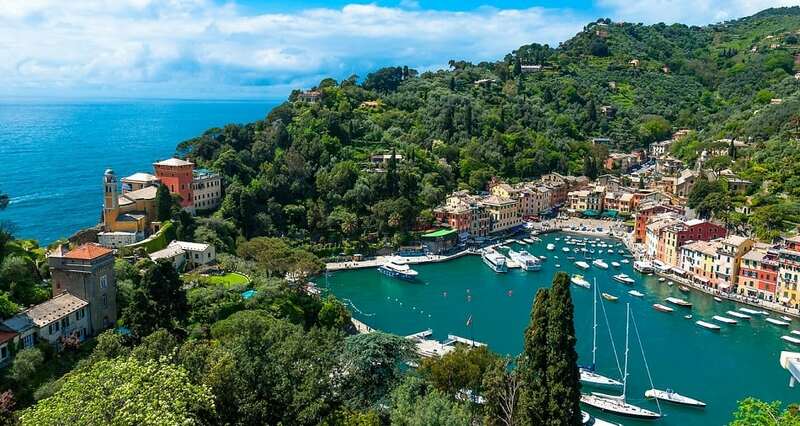 Portofino is a quaint little village on the Italian Riviera coastline, southeast of Genoa city. Pastel-colored houses, high-end boutiques and seafood restaurants fringe its Piazzetta, a small cobbled square overlooking the harbor, which is lined with super-yachts. A path leads from the Piazzetta to Castello Brown, a 16th-century fortress and museum with art exhibitions and panoramic views of the town and the Ligurian Sea.